Malaria is one of the most dreaded tropical diseases known to mankind. Since 2001, the incidence of malaria in Sub -Sahara Africa and South Africa made a dramatic comeback. Ronald Ross was born in 1857 and became a Medical Officer in the British Army in India, where he treated patients who contracted tropical diseases. While visiting London during 1894, he became acquainted with Patrick Manson who was regarded as the `father of tropical medicine`. Manson had demonstrated during 1878 that parasites that cause human disease could infect mosquitoes. Charles Laveran, a French physician, while stationed in Algeria during 1880 discovered that malaria was caused by protozoan, a one-celled microscopic animal. Laveran, could however not establish how the parasite entered the bloodstreams of humans. Ross who had become familiar with the work of Laveran, after his return to India in 1895 became determined to solve the mystery of malaria. 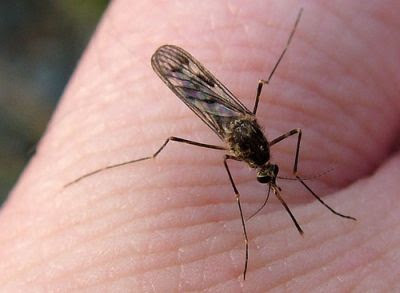 Ross was of the opinion that malaria was caused by mosquitoes, but the connection eluded him until 20 August 1897, when he peered through his microscope to examine the stomach tissue of a dapple-winged mosquito. It had been fed four days previously with the blood of a malaria patient. Ross found `something new.....exactly like the pigment of the parasite of malaria`. After further research Ross proved that malaria was transmitted by the female anopheles mosquito bite. Ross was awarded the Nobel Prize for Medicine for this important discovery. A secret hidden since the world began. To Follow: The potential impact of Malaria, on the Construction industry throughout the African continent.